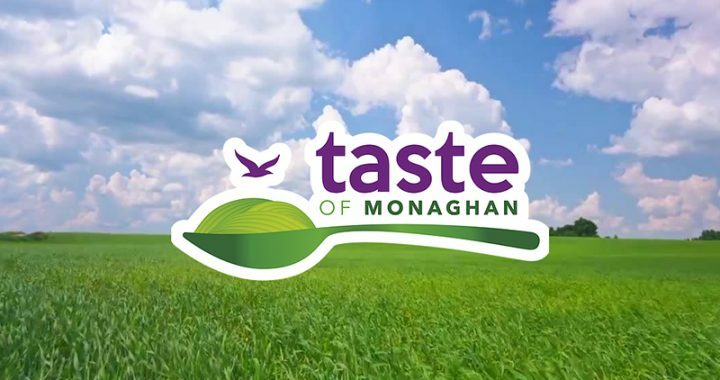 Hot on the heels of foodie destination success, where Monaghan and Glaslough placed fifth in a list of the top culinary destinations in Ireland – the county’s highest ever placing, comes Taste of Monaghan 2018. The event runs 28-30 September and will showcase the very best that food businesses in Monaghan have to offer. 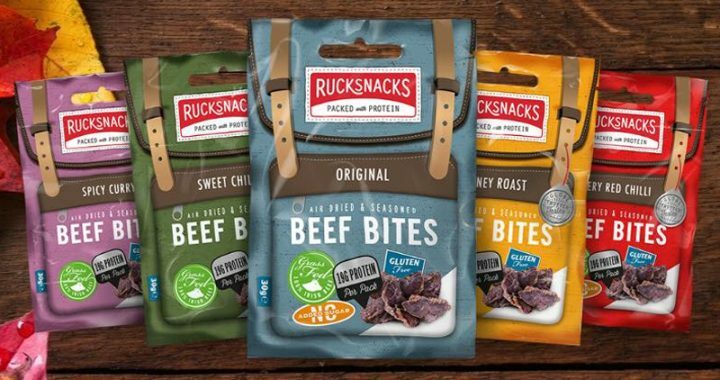 Rucksnacks used the state-of-the-art incubator kitchen facility at the Ballybay Enterprise Park to develop their protein-packed beef bites, which are on sale at SuperValu stores and at gyms throughout the county – soon to be available nationwide. Founder, Colm Connolly, came up with the idea of turning the beef, which his family had farmed for five generations previously, into a healthy on-the-go snack. Baked With Love recently secured a nationwide contract to supply Lidl stores throughout Ireland. The family-run food business expanded to a dedicated 500-sqm facility last year, and now boasts a separate gluten-free bakery in additional to its regular production facilities. 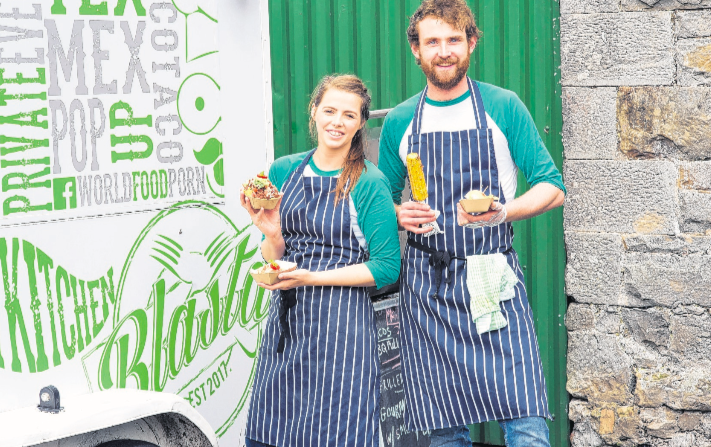 Blasta: Gourmet Street Kitchen is up for ‘best emerging franchise’ at the upcoming Irish Franchise Awards 2018/19. Seany and Nikita set up their Tex-Mex food truck business after four years eating their way around the world. The duo spotted a gap in the market for good quality private catering, as well as “food trucks people were not afraid to eat from”, and soon turned their passion for Mexican food into a thriving business. Dairy farmer Seamus McMahon’s response to a slump in milk prices was to turn disused sheds on his property into a microbrewery. In addition to managing the dairy, which supplies the cream to make Bailey’s, Brehon Brewhouse’s beers are supped in bars up and down the country. The company is now eyeing expansion into the US, where the thirst for craft beer is growing exponentially. 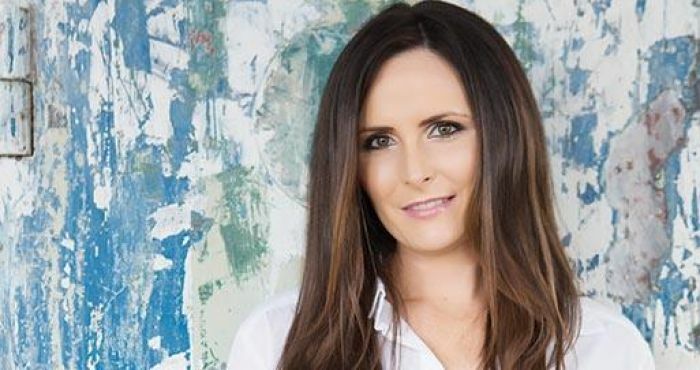 Chef Martina Woods was inspired to set up her business, Harry’s Dog Bakery, when she discovered regular dog treats made her pup unwell. Martina went on to study dog nutrition before setting up her natural dog treat business. Earlier this year, Martina won a prize worth €3,000 for an elevator pitch she made at the Enterprise Ireland Fuelling Ambition road show. 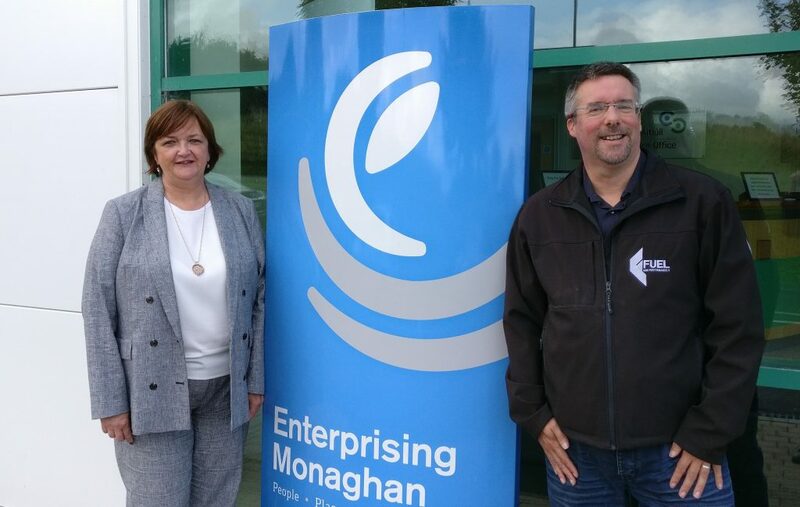 Enterprising Monaghan will also be at Taste of Monaghan 2018. Pop along to our stand to meet to team, find out about the Monaghan test kitchen facility and to learn about other available supports for food businesses in the county. 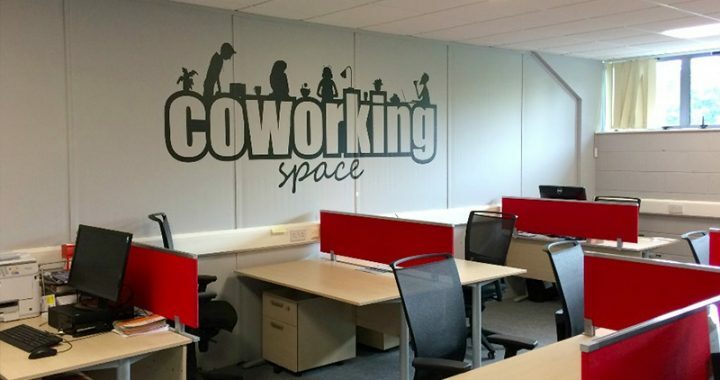 M:TEK has welcomed a handful of new tenants over the past few months, as businesses here thrive here and outgrow their Monaghan office space. 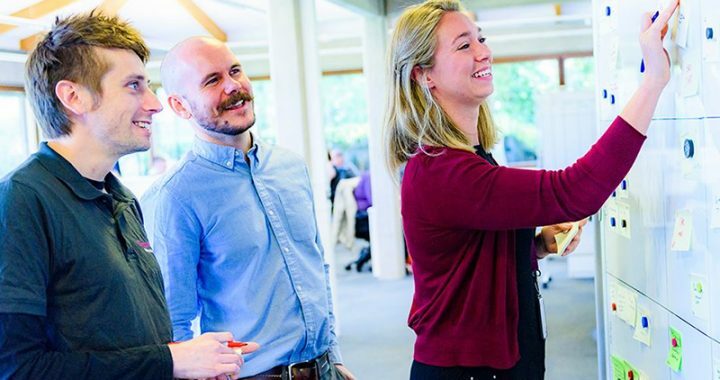 Among the recent arrivals is FUEL – High Performance IT, a specialist consultancy headquartered in Northern Ireland and employing 16 across three locations; the company chose Monaghan as their first base in the Republic of Ireland. 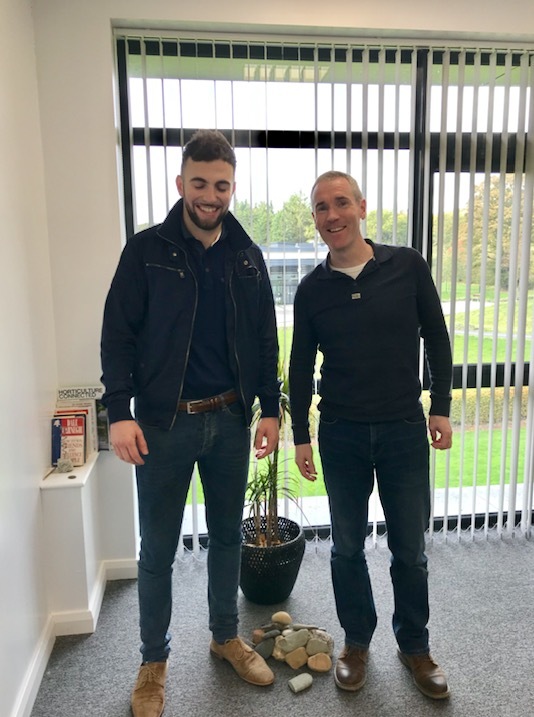 We caught up with FUEL director, Steve Boyes, to find out a little more about the company’s plans for future expansion and why they decided to set up an office in Monaghan. What exactly does FUEL do? FUEL Supplies and Implements IT Infrastructure solutions. We are also both a “Sage Business Partner” and a “SAP Business One Partner”. 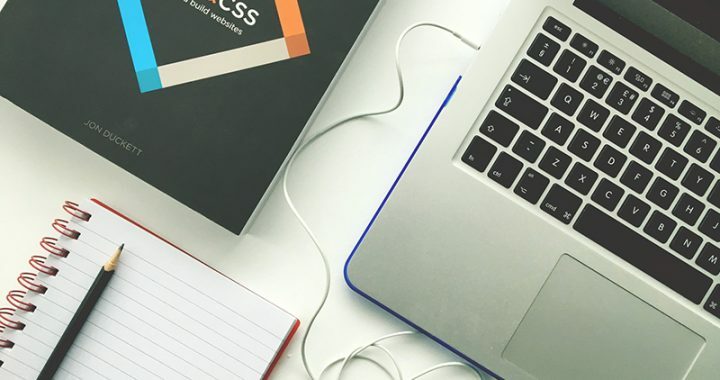 We offer consultancy and design services for Network Infrastructures and provide full training and implementation on ERP solutions including General Financial accounting (Including Payroll), Manufacture Management and as well as frontline software and infrastructure support services. Areas of industry expertise include Manufacturing, Service Management/Customer Service, Private Healthcare Management and Wholesale/Distribution including Mobile Working Solutions. When was the company set up? 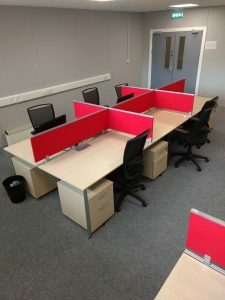 The Company was established 25 years ago by the current CEO – Paul Trouton while studying at Queens University in Belfast. 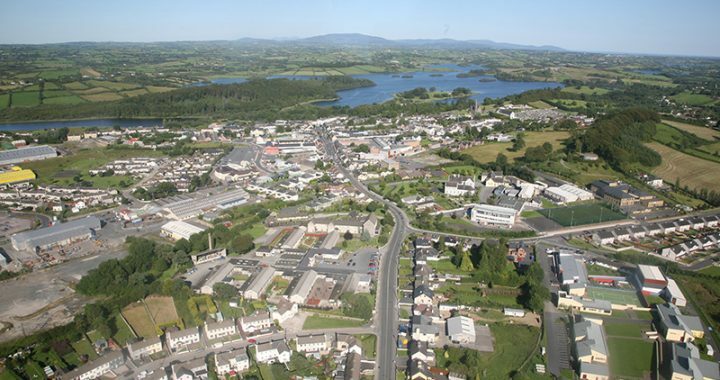 Why Monaghan as a business location? 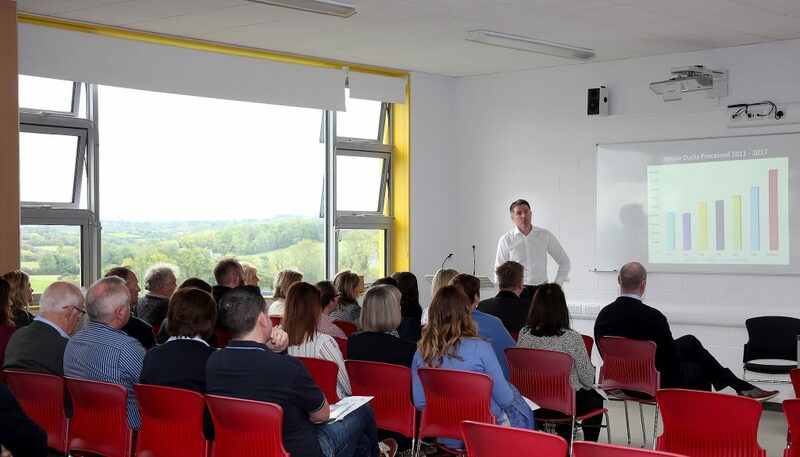 Having taken considerable time reviewing a number of business locations in between Dublin and the border counties, FUEL decided on Monaghan because of the welcome we received from the business community and the clear business buzz and energy that currently exists in the area. 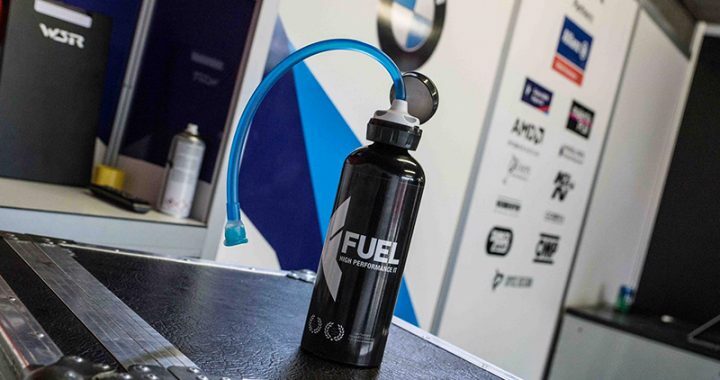 FUEL have already successfully expanded into Scotland and England, and Ireland holds an exciting prospect for the company’s plan for growth, with the arrival of Brexit on the horizon. Although we’re determined to engage fully with the local business community and enjoy all the benefits of a growing economy, Monaghan is less than 30 miles from the other Irish FUEL office in Craigavon. 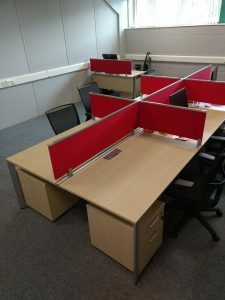 M-TEK provides FUEL with a professionally managed office space that is well known to all business organisations in the area. With the added ability of hosting business meetings and corporate events, M:TEK delivers all that we need and more, to help establish our FUEL – High Performance IT brand and grow our business turnover. With, as mentioned before, establishing offices in Scotland and England, Monaghan is seen by the Directors of FUEL, a major area of business growth for the company. While in the early stages of establishing the FUEL brand in the Monaghan area by senior members of staff from the Craigavon office, FUEL hopes to expand its customer base in the near future, and have local professional staff managing and maintaining our Monaghan business base. Find out more at itfuel.com and find FUEL on Twitter, Facebook and LinkedIn. 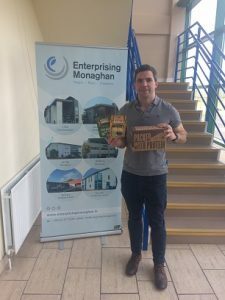 Colm Connolly hails from a five-generation Monaghan farming family, and he decided to set up his own business selling a range of gourmet dried Irish beefs snacks. 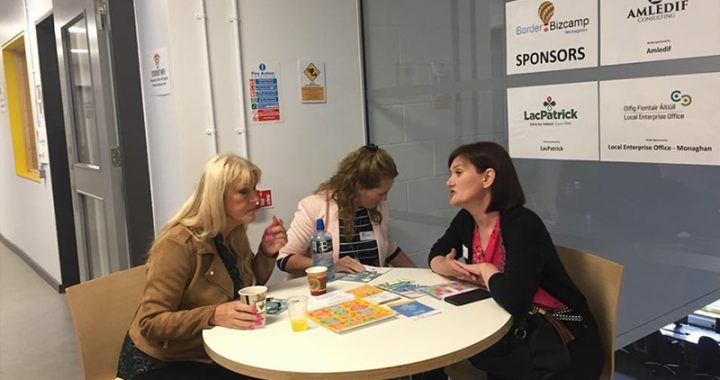 Rucksnacks is a new and promising Monaghan food businesses which has become a big hit with health enthusiasts looking for snacks with no added sugar, no gluten and no allergens. Colm uses the local state-of-the-art food incubation unit at the Ballybay Enterprise Park to develop and produce the high-protein snacks. We grabbed Colm for a five-minute chat about his food business success so far. Q : How did you come up with the idea of “Rucksnacks”? A: We created Rucksnacks in 2015 but we didnt have a name at that stage it was just an idea born out of frustration between myself and my wife. We both wanted to have healthy snacks but there was very little available. 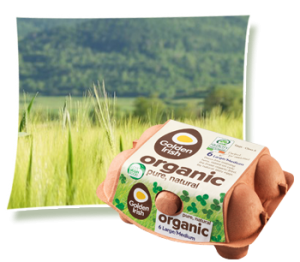 I come from an agricultural backround so I looked to see if we could create something from what we farm at home into a healthy snack product. Q : You have travelled around the world and experienced many cultures and lots of exciting food, why did you return and decide to base your food business in Monaghan? A : My wife and I had always planned to return back to Ireland after backpacking around the world for seven months. We always knew we had the family farm, and being a 5th generation beef farmer, I liked the idea of coming back to my roots. And terms of agri-food, Monaghan is very strong as a county. When I returned home I didn’t really know how it was going to work, but that’s when I started to look into things. I found the supports and availability of help across the county to be very good and it was a huge bonus. 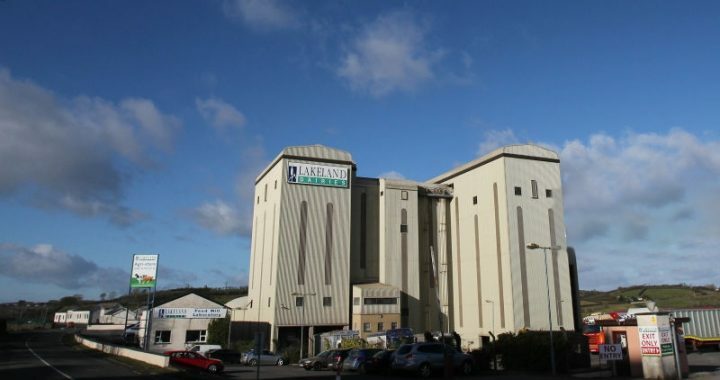 Q : What use do you get from using the state-of-the-art food incubation unit in Ballybay Enterprise Park? What are the facilities like? A : We are still involved with research and development at this stage. Even though we have products launched we’re still at that stage as a company. The Ballybay kitchen [facility] is fully set up and approved by the relevant authorities so it’s of a very high standard. It has everything you need to produce or to run trials and that’s been so useful for us because we’ve been able to do both. It has allowed us to test products and make any mistakes on a smaller and it’s been very handy to have such a well-equipped facility nearby. Q : We can find Rucksnacks in various gyms and SuperValu stores across the county. Are there any plans to expand distribution in the future? A : We started off by supplying local. First off we supplied the local SuperValu, just two minutes away from us. That went well and so ee started to then increase the number of places stocked. Ultimately we need to scale up. We want to expand out to all counties in the Republic of Ireland and Northern Ireland and hopefully then the rest of the UK. We have already started to export to Europe. Beef snacks are very popular in Countries like Germany. We will also continue with research and development to add to our range of products”. Follow Rucksnacks on Twitter and Facebook for the lastest on their tasty ‘made in Monaghan’ beef snacks!